Kruger National Park: Brandnew Parfuri Border Camp to open on 01 Nov 2015! A brandnew rest camp is set to open in Kruger National Park on 01 November 2015. The Parfuri Border Camp is situated in the Pafuri section of the National Park about 70km from the Punda Maria Camp Gate. The new camp includes three very spacious self-catering units: the one-bedroom (4-sleeper) Mockford Cottage, the three-bedroom (6-sleeper) Doctor's House, and the four-bedroom (8-sleeper) Mockford House. On offer is a reception area and a swimming pool. A museum dedicated to Pafuri's fascinating history will be operational by 2016. Activities at the Parfuri Border Camp include day bush walks, morning walks, day safari, night drives, sunrise drives and sunset walks. Mozambique builds Africa's largest suspension bridge! update (13 Dec 2016): According to the Mozambican daily newspaper Noticas, the Minister of Public Works, Housing and Water Resources of Mozambique, Carlos Bonete said 70% of the work on the Maputo-Katembe bridge, which will connect Maputo with Catembe by crossing the Maputo Bay, has been completed. Full completition of the bridge is still planed for the end of 2017. The governments of Mozambique and China are currently building Africa's largest suspension bridge, as well as its link roads, in Mozambique. The construction of the brigde started in June 2014 and is expected to finished in December 2017. The two lane bridge, which will connect Maputo with Catembe by crossing the Maputo Bay, will be three kilometers long, will have a width of 680m and will stand 60m above sea level. Adjoining roads will link the bridge with the Ponto de Ouro border post (Mozambique) and the Kosi Bay border post (South Africa), so that the driving time from Mozambique's border with KwaZulu-Natal to Maputo will be cut by about four hours. Botswana named "Top Country to visit 2016" by Lonely Planet! update (03 Nov 2015): Lonely Planet has uploaded a "visual portrait of the top country in their Best in Travel 2016 selections, Botswana. Lonely Planet's Best in Travel is produced annually as a guide to the top destinations, trends and experiences for the upcoming year. The Top 10 lists in Best in Travel were compiled by teams of experts, who took into account special events going on next year, recent developments in each country/region/city, and new things for travellers to see or do. South Africa/Mozambique: Komatipoort Border to open 24hrs/day from 2016! The governments of South Africa and Mozambique have agreed to open the Lebombo Border Post and the Ressano Garcia Border Post (also called the Komatipoort Border/geogr. coordinates 25.4431°S 31.9867°E) between the two countries 24 hours per day from 2016. The main and busiest border crossing between South Africa and Mozambique currently closes at midnight and reopens at 06:00 in the morning. South Africa: New measures for immigration regulations! update (12 Nov 2015): South Africam Tourism has released an infographic summarising the amendments made to South Africa's visa rules. In countries with no South African mission or embassy, Home Affairs will accept applications by registered mail, applicable to tourist and medical visitors only. These postal applications will then be finalised with the capture of traveller biometrics: finger prints and photos at selected port entries to South Africa – OR Tambo/Johannesburg, King Shaka/Durban and Cape Town international airports. South African children travelling out of the country will still be required to submit the current child-travel requirements, including parental consent affidavits as a means to protect the minors. These documents are valid for six months. Full details and identification and biometric information of parents will also be printed in the children's passports; therefore they will not be required to carry the birth certificates. Home Affairs, however, does advise that this form of identification still be carried as an additional form of proof. For inbound travellers, proof of original birth certificates or certified copies will only be required during the application process, as this is in line with practice in many other countries. The South African government has agreed to amend the law that includes the term "unabridged birth certificate", changing it to "birth certificate containing parental details". Home Affairs is currently considering the possibility of issuing long-term multiple entry visas for frequent business travellers. The IMC takes the position that where visas are required, provision of original birth certificates or certified copies of required documents should continue during the visa application process as this is in line with practise in many other countries. Travellers who are from visa exempt countries traveling with children will be strongly advised (!) to bring along proof of the relation and consent from the absent parent/s or guardian/s. Concessions that will take effect within the next three months include allowing countries where no South African missions exist to post their application to enter the country by post as they will be accepted by the Department of Home Affairs. The Department of Home Affairs will implement the biometrics, including fingerprints and photos, at the pilot sites which will be at OR Tambo International Airport in Johannesburg, King Shaka International Airport in Durban and Cape Town International Airport in Cape Town. The Department of Home Affairs will introduce an Accredited Tourism Company (ATC) Programme for China, India and Russia with possible extension to other visa requiring countries. Within three months to a year the Department of Home Affairs will increase Visa Facilitation Centres (VFC) in China, India, United Kingdom, Nigeria Democratic Republic of Congo, Angola, Ghana, Kenya and Uganda. The Department of Home Affairs will fast-track the opening of Visa Facilitation Centres (VFC) in Zimbabwe, United Arab Emirates and Botswana. Measures which will be implemented beyond one year include the installing of systems for pre-flight checks at international airports. The IMC accepts the implementation of the current child-travel requirements, including the parental consent affidavits as these seek to protect children. Allowances which will be made as part of the new measure regarding children within the next three months to a year include details of the parents printed on the passports so that children whose particulars are printed would not be required to carry birth certificates. In the next three months school principals will issue letters confirming permission for children to travel or school tours. This authority will also be extended to include registered sports bodies. The "36 hours" travel column by the New York Times is probably one of the most popular and famous of its kind worldwide. The latest edition of "36 hours" covers Cape Town in South Africa and gives the viewer (also check out the article by Capetonian Sarah Khan!) some great travel tips on "what to do when you've got 36 hours to get to know a city". Travellers who know Cape Town may find the travel tips not super special, but everyone who is planning to visit the Mother City for the first time will definitely get some helpful hints on what to see, where to eat and what to do in Cape Town. Enjoy! Kruger National Park: 19 Elephants killed by poachers so far in 2015! According to South African National Parks (SANParks), 19 elephants have been poached in Kruger National Park so far in 2015. 12 of those have been illegally killed in September (seven elephants) and October (five elephants) 2015 alone. 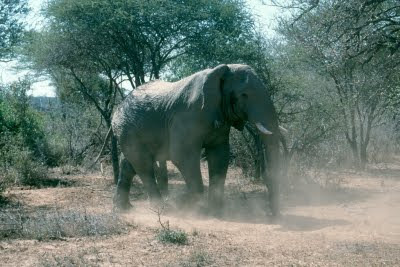 The majority of the elephants were poached in the northern part of Kruger National Park. The first confirmed elephant poaching incident in Kruger National Park in well over ten years took place in Pafuri section of the Park in May 2014. Kruger National Park lost two elephants the whole of 2014. 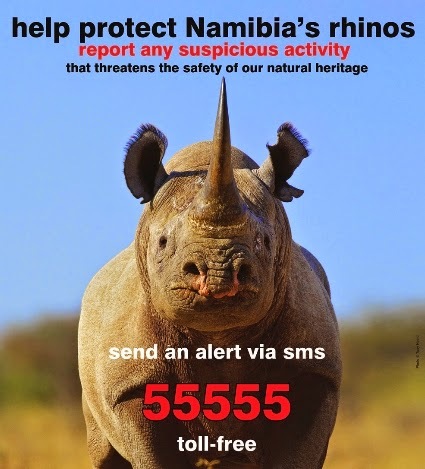 Namibia: 77 rhinos killed by poachers so far in 2015! According to Namibia's Ministry of Environment and Tourism, the country has lost 77 rhinos to poaching so far in 2015. Of the 77 rhinos, most rhinos were poached in Etosha National Park. Some of the carcasses found in the National Park may actually be old and could therefore be the remains of animals that were killed before the start of 2015. The Ministry of Environment and Tourism offers rewards of N$60 000 for information that lead to the arrest and prosecution of rhino poachers. Lufthansa: Seasonal daily flights between Munich <> Cape Town! Europe's largest airline, German airline Lufthansa, has announced that it will increase its flights between Munich Airport (MUC) in Munich and Cape Town International Airport (CPT) in Cape Town from five non-stop weekly flights to a daily schedule. The service is valid from 25 October 2015 until 27 March 2016. The airline will operate an Boeing A340-600 between the two destinations. Switzerland's leading leisure travel airline Edelweiss Air, owned by the Lufthansa Group, will for the fifth year running connect Cape Town's Cape Town International Airport (CPT) with Zurich Airport (ZRH) in Zurich non-stop twice a week during South Africa's high season (October 2015 until mid May 2016). Zambia introduced an e-Visa system! Zambia has introduced a new e-Visa system as an alternative to visas issued at Zambia's missions and at the ports of entry. Applicants for the e-Visa obtain their official document permitting entry into and travel within Zambia (visa) electronically after entering all required information on evisa.zambiaimmigration.gov.zm and making payments by a credit or debit card (Mastercard or Visa). This two-step visa application will take between three and five working days to process and applicants can check the status of their application online. According to the video below (which seems to be the official e-visa application process video - see the website of the Zambia Department of Immigration), you can also pay for your visa in cash at Zambia's ports of entry. South Africa: Skywise reduced flights between Johannesburg <> Cape Town! South African low cost carrier Skywise has announced that it has reduced the number of flights between Johannesburg <> Cape Town from eight flights per day to six flights per day to better manage its capacity, effective immediately. Passengers affected by the reduced schedule will be accommodated on alternative flights at different times; Skywise's customer service agents will also assist passengers to claim a full refund. 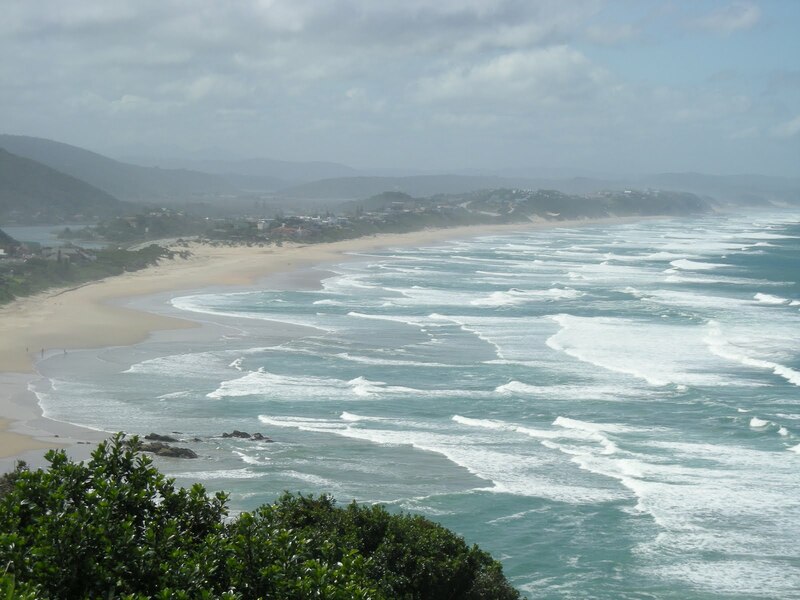 South Africa: Eastern Cape gets its 6th provincial nature reserve! The Mhlonto Nature Reserve in the Eastern Cape has become the province's sixth and third-largest provincial nature reserve. The Nature Reserve is located in the eastern part of the Eastern Cape, near the towns of Qumbu and Tsolo. The main attractions in the Mhlonto Nature Reserve include the iconic Tsitsa Falls, Tina Falls, Tina River Valley and Mzoboshe Horseshoe. The reserve is home to blue and grey duikers, baboons, dassies and a variety of small cats as well as a wide variety of bird species. 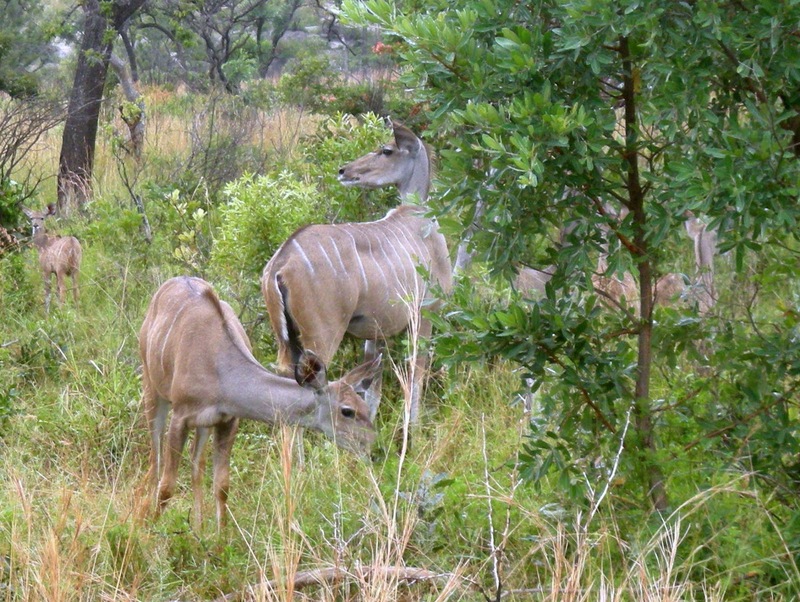 The management of the Mhlonto Nature Reserve also plans to re-introduce the mountain or hartmans zebra, eland, blesbuck and red hartebeest to the area. Activities in and around the Mhlonto Nature Reserve include area conservation, hiking trails, mountain climbing, ecotourism, cultural tourism and game viewing. Kruger National Park: Sirheni Concrete Dam to get removed for ecological reasons! Kruger National Park (KNP), in conjunction with South African National Defence Force (SANDF), has started to demolish the wall of the Sirheni Concrete Dam at Sirheni Bushveld Camp on 19 October 2015 (until 23 October 2015) for ecological reasons. The Camp is located at the edge of Kruger National Park's northern plains within the Mopane veld of the region. The Mphongolo River lies next to the Sirheni Bushveld Camp. The Sirheni Concrete Dam was damaged beyond repair during the 2013 floods. Explosives will be used to demolish the dam wall, after which the remains will be removed as part of the rehabilitation process. The area around the target structure will be cleared to ensure animals and human beings are safe. Ranger and Military staff will be on the ground throughout and the road leading to the dam will also be temporarily closed. Kruger National Park has been closing redundant artificial water points for the past eight years, the last one having taken place in December 2014. 360° VR video of Kruger Mpumalanga International Airport! Kruger Mpumalanga International Airport (KMI), the Southern Gateway to South Africa's famous Kruger National Park, was recently the first airport in Africa to implement virtual reality (VR) technology. By using mobile devices with a VR headset such as Google Cardboard, Oculus Rift or Samsung VR Gear, users are now able to experience the airport and its surroundings in a 360° interactive format. The video below gives you an idea what to expect at Kruger Mpumalanga International Airport (KMI). Kruger Mpumalanga International Airport (KMI) is located 23 km north east of Nelspruit and 14km from White River in Mpumalanga. Ethiopian Airlines to resume flights between Addis Ababa <> Durban! Ethiopia's flag carrier, Ethiopian Airlines, is set to resume scheduled flights between Addis Ababa Bole International Airport (ADD) in Addis Ababa and Durban's King Shaka International Airport (DUR) on 16 December 2015 after a 17 year hiatus. The airline will operate three flights per week on board a Boeing 737-800 aircraft between the two destinations. Ethiopian Airlines' operational schedule will allow same day connections to/from Europe. South Africa: Mango to end flights between Cape Town <> Port Elizabeth! South African low-cost carrier Mango will end its route between Cape Town International Airport (CPT) in Cape Town and Port Elizabeth International Airport (PLZ) in Port Elizabeth on 15 October 2015. The airline's aircraft will be redeployed to to maximize "competitive presence on higher-volume routes". Mango also announced it would be bulking up flights between OR Tambo International Airport (JNB) in Johannesburg and Port Elizabeth. Existing bookings will be re-accommodated on SA Express. Fair Trade Tourism certifies the Townhouse Hotel in Cape Town! Fair Trade Tourism (FTT), a South African NGO that encourages and monitors fair and responsible practises in tourism establishments and activities, recently added the Townhouse Hotel, situated in the heart of Cape Town, to the family of FTT-certified businesses. The four star hotel employs a multi-cultural and diverse team of 100 people. The Townhouse Hotel believes in responsible hoteling and has installed devices to help conserve energy and water as well as implementing waste recycling management practices. The hotel also supports local and ethical food suppliers, wherever possible. Off-site, the Townhouse Hotel donates a percentage of all conference delegate fees to greening projects such as tree-planting with Greenpop, and regularly arranges community-focused beach clean-ups with CleanC. Together with its sister hotels, Oude Werf Hotel and Vineyard Hotel, the Townhouse Hotel is a founder of Kids of the Cape Fund, a social investment initiative that supports nine children’s charities spanning education, health, HIV/Aids and feeding schemes. KwaZulu Natal: Beaumont Nature Reserve has been declared a protected area! The Beaumont Nature Reserve in the Swartberg region of KwaZulu Natal has been declared a protected area. The reserve is 1050 ha in size and stretches into the upper catchment of the Umzimvubu River. It consists mostly of grasslands, steep slopes and rocky sections. The reserve provides foraging grounds to a number of endangered and endemic species such as Grey Crowned Crane, Cape Vulture, Drakensberg Rock Jumper, Secretary Bird and Southern Bald Ibis. With the majestic Drakensberg towering in the background, the Beaumont Nature Reserve presents a special opportunity to conserve watershed services that needs the mighty Umzimvubu River that sustains countless communities all the way through to Port St Johns in the Eastern Cape where the river eventually meets the ocean. The Beaumont Nature Reserve is the first of a number of privately owned properties in the region that will have protected area status bestowed upon them. Zimbabwe: Fastjet to launch flights between Harare <> Victoria Falls! Pan-African low-cost airline Fastjet has been granted an Air Operator Certificate (AOC) by the Civil Aviation Authority of Zimbabwe, which allows the airline to operate both domestic and international routes within and from Zimbabwe. Fastjet (Zimbabwe), the second airline to Fastjet's network, is set to introduce flights between Harare International Airport (HRE) in Harare and Victoria Falls International Airport (VFA) in Victoria Falls on 28 October 2015. The airline will initially operate three flights per week between the two destinations. Fares start at $20 exclusive of taxes for a one way flight. Fastjet (Zimbabwe) becomes the second budget airline to operate in Zimbabwe after Fly Africa. A total of 39 beaches in South Africa, along with 9 boats and 6 marinas have been awarded Full Blue Flag status by the 2015 International Blue Flag Jury. 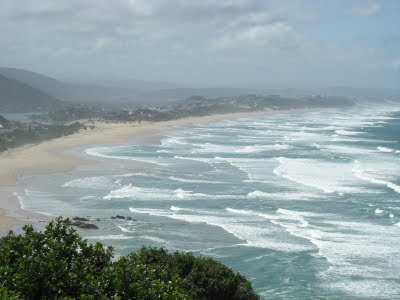 Another 30 beaches in South Africa have been awarded Pilot Blue Flag Site status. The jury results include 49 Blue Flag sites in the Western Cape, 19 sites in KwaZulu-Natal and 16 sites in the Eastern Cape. All of the sites that applied for Blue Flag status underwent a rigorous approval process involving both local and international assessments. The Blue Flag is a certification issued by the Foundation for Environmental Education (FEE) that a beach or marina meets its stringent standards. The main criterias include standards for water quality, safety, environmental education and information, the provision of services and general environmental management criteria. The Blue Flag is sought for beaches and marinas as an indication of their high environmental and quality standards. Tanzania: Precision Air to re-introduce flights between Dar es Salaam <> Musoma! Tanzanian airline Precision Air has with immediate effect re-introduced flights between Julius Nyerere International Airport (DAR) in Dar es Salaam and Musoma Airport (MUZ) in Musoma in Tanzania's Mara Region. The airline initially operates three flights per week on Tuesdays, Thursdays and Saturdays between the two destinations. Precision Air suspended flights to Musoma about two years ago due to poor conditions of the runway. Tanzania Airports Authority (TAA) has since then made improvements to the airport infrastructure, which made the airline come back to the airport. Musoma is located on the eastern edge of Lake Victoria, close to the International borders of Tanzania with Kenya and Uganda. 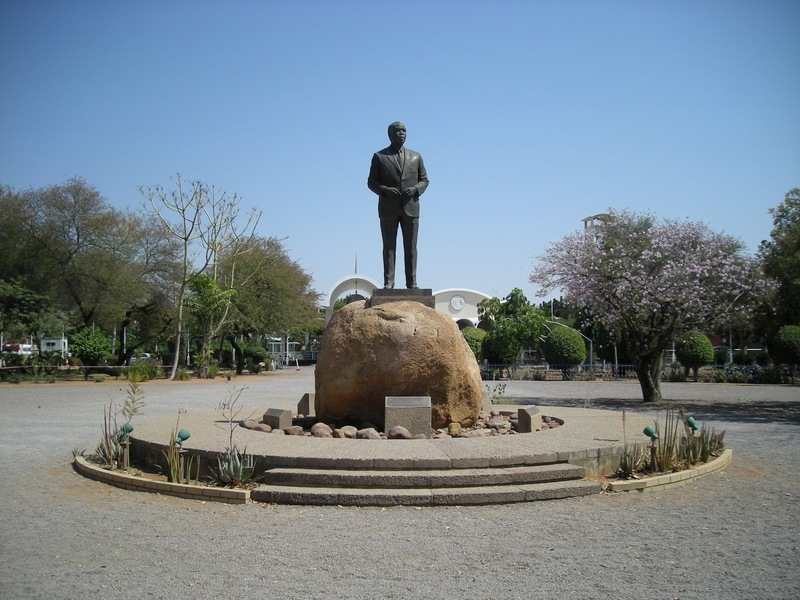 Flyafrica (Namibia) to launch flights between Windhoek <> Cape Town! flyafrica.com (Namibia) is set to launch flights to its second destination in South Africa on 02 November 2015. The airline has announced that it will operate three flights per week on Mondays, Wednesdays and Fridays between Hosea Kutako International Airport (WDH) in Windhoek and Cape Town International Airport (CPT) in Cape Town. flyafrica.com (Namibia) also announced that it will increase the number of flights between Windhoek and Lanseria International Airport (HLA) in Johannesburg to five fights per week on Mondays, Wednesdays, Thursdays, Fridays and Sundays from 16 November 2015. Videos: "The Love Cape Town Neighbourhood series"